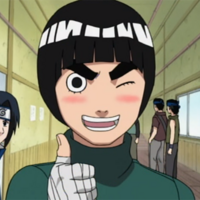 Crunchyroll - Why Does Everyone Remember Rock Lee Dropping His Weights? 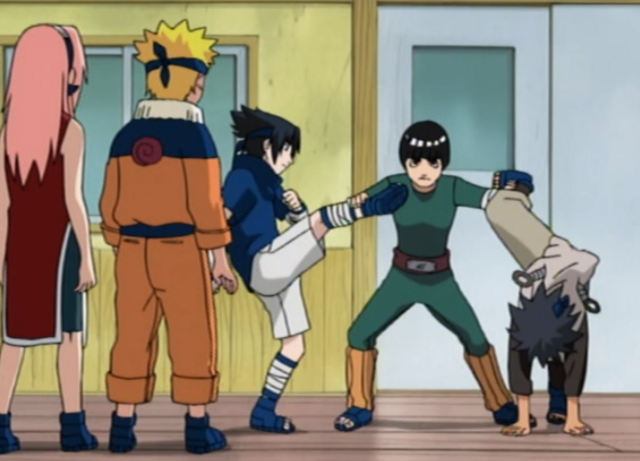 In the Great Cunchyroll Naruto Rewatch, we have just reached Rock Lee versus Gaara, one of the most fondly remembered fights in the entire franchise. The weekly questions brought up an interesting point to consider: can you think of any other anime that has had a moment like Rock Lee dropping his training weights? After giving it some thought, I couldn’t come up with anything that quite captured how exciting and absurd the moment felt, which led me to wonder what makes it so special? Why does everyone remember when Rock Lee dropped his weights? The easiest conclusion is that the answer is rooted in the characters’ backstories. 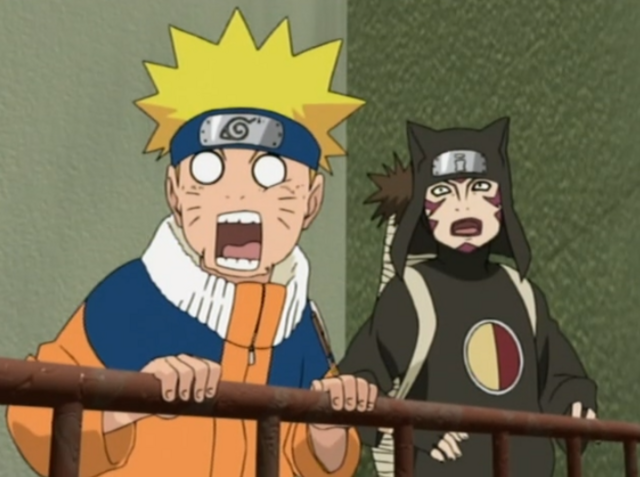 Gaara is something of a mystery at this point in the show. He is from the Village Hidden in the Sand, seems to control sand subconsciously to defend himself, and has been shown to be both a ruthless killer and so frightening that even his teammates fear him. We don’t know much about him, but he appears to be a nearly insurmountable challenge that is better avoided than confronted head on. Lee is almost the direct inverse, outgoing and optimistic in the extreme. He picks a fight with Sasuke just to see which is stronger, constantly trains with punishments for failing being more training. In short, never gives up, no matter how hopeless a situation may seem. He essentially has Naruto’s optimism but with combat skills beyond anything a Genin should be capable of. That also sets up one of the main reasons why the fight is so exciting. 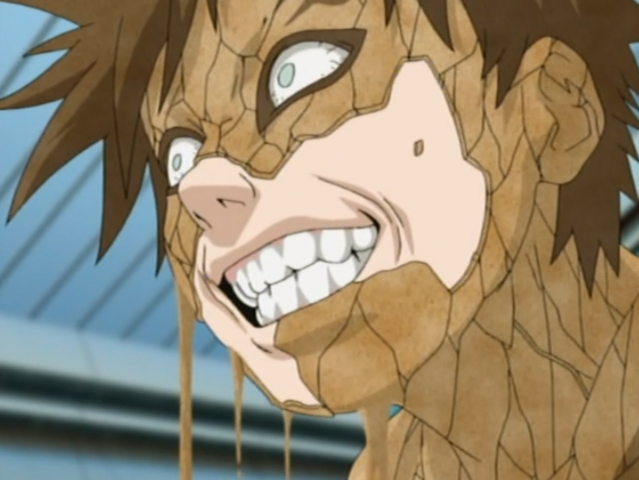 Lee has been shown to be stronger than Sasuke, the top Genin of Naruto’s graduating class, but even he struggles to find a way around Gaara’s sand. That leads to the iconic moment itself, Lee retreating for a moment, and his mentor Guy giving him the go ahead to take off his training weights. This scene demonstrates a few things in quick succession. First, Lee was perfectly willing to continue fighting with the weights on, showing his conviction and how strongly he believes in the words of his teacher. At the same time, the entire room acts as an audience surrogate, with everyone wondering variations of how pointless dropping a little weight will be when Gaara’s defense is so impregnable. Then the weights drop, dust clouds climb tens of feet in the air, and both the audience and room of ninjas can’t help but marvel at how over the top those weights were. If that were the only special aspect of the fight though, then it would be a funny moment, but not nearly as memorable as it has become. The following moments are what made the drop so fondly remembered for the rest of the franchise. 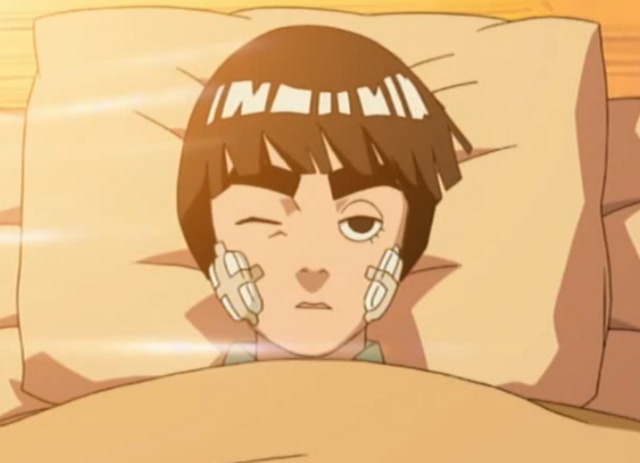 Before, Lee’s fighting ability was near the top of all Genin, able to defeat Sasuke but probably not Neji. Once he dropped his weights and speeds up, the audience sees that even in his previous encounters, he had been holding back a significant amount of power. 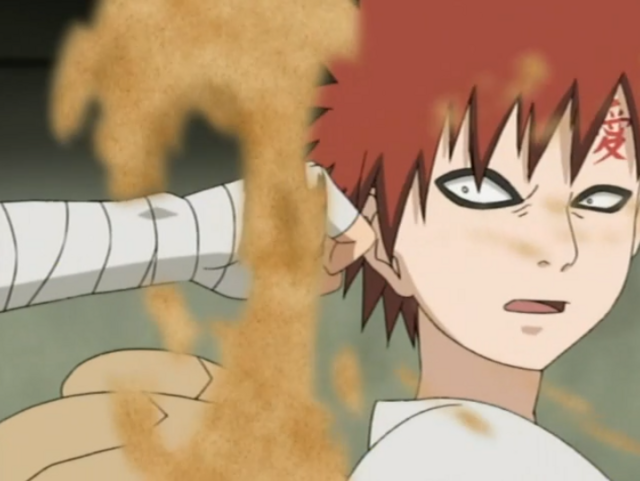 His punches start going through the sand barrier and even managing to hit Gaara. However, this opens even higher power scaling, since it turns out that Gaara had also been holding back, and has another layer of defense beyond the subconscious protection from his sand barrier. This is a testament of why this fight is so well remembered. Both participants were heavy hitters going into the fight, and both revealed that they had been holding back the entire time, and so start showing off more new powers and abilities as the fight drags on and both need to bring out their full arsenal just to survive. Lee can’t get through the sand barrier, so drops his weights. 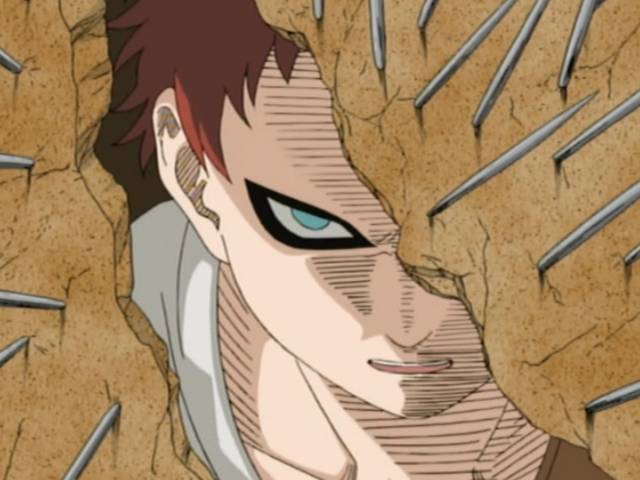 Now he can get through the barrier, and reveals that Gaara has sand armor, too. 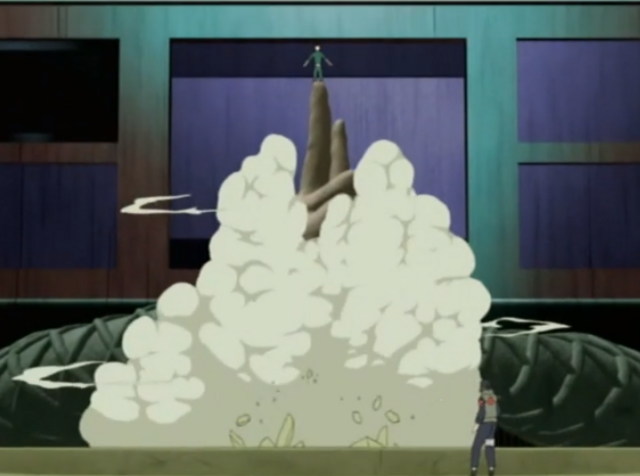 Lee then uses the Primary Lotus, his finishing move, to end the fight, and Gaara exploits a moment of weakness to make a sand clone take the attack. 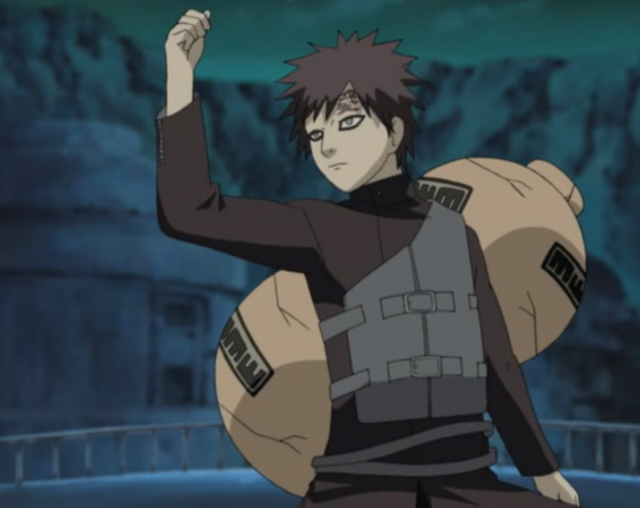 Lee is then weakened, allowing Gaara time to attack back. Once Lee recovers (surviving only because Gaara was toying with him), Guy reveals that the Primary Lotus unlocks the first of the Eight Inner Gates, and then Lee starts unlocking more, unleashing magnitudes more power than before. To me though, one of the reasons Lee dropping his weights was so impactful was because of how it changed the rest of the show. After his fight, he is almost irreparably broken with shards of bone in his spinal cord. 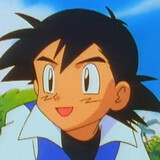 For the first time, one of the recurring characters is not only injured, but continues to be injured beyond the end of the arc. Treating him becomes one of the reasons to seek out Tsunade, who eventually becomes the Fifth Hokage and Sakura’s mentor while also having several other plot threads connected to her background. Meanwhile, Gaara went on to start the next arc of the show and reveal that there are other Jinchuriki (people who carry demons, like Naruto) in the world, and would eventually become the Kazekage, the Sand Village’s equivalent of the Hokage. 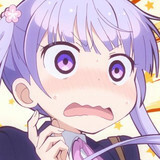 Has any other show done this? 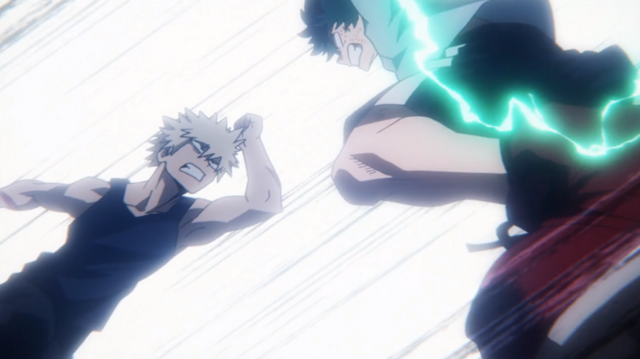 Both participants in a 1-on-1 fight start as serious threats to the main cast, and are both then revealed to have been holding back significantly, thus increasing everyone else’s power scaling for the rest of the show, and even after the fight both participants continue to directly and indirectly impact the plot for multiple arcs to come. Some of the more obvious comparisons are various moments in the Dragon Ball series. Both Goku and Piccolo wore weighted clothing for the start of their fight against Raditz, but Raditz didn’t really increase in power through the fight. Goku going Super Saiyan for the first time has the same kind of new power scaling, but Lee and Gaara’s powers come out of nowhere, which helps the surprise factor, while Super Saiyan had an entire arc building up to it. 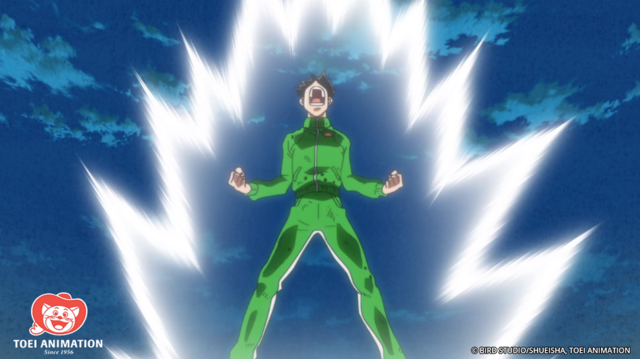 Gohan's berserk mode, which eventually became the trigger for Super Saiyan 2, is probably the closest comparison, since it had both the surprise and personal power increase, and by introducing a new level of transformation changed the scaling for the rest of the cast, but it also had multiple arcs of buildup hinting at Gohan having some kind of latent power. What about some other shows, then? 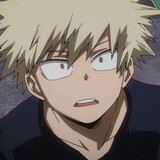 In My Hero Academia, Deku unlocks more power mid-fight against Bakugo, but that does not have the same narrative impact since getting stronger and learning to be a better hero were already two of the main points of the show. How about something more directly comparable, like Ichigo unlocking Bankai in Bleach, one of the other shounen shows of the Big Three? 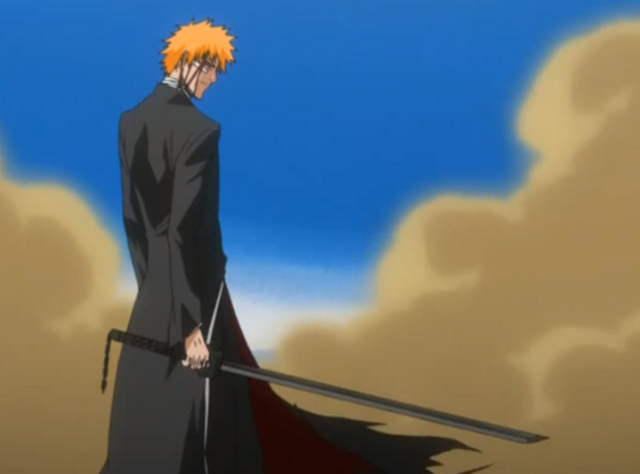 It’s closer, since the new power scaling did change how the rest of the show played out, but like with Super Saiyan, Ichigo had an entire arc building up the power of a person’s bankai and we saw him explicitly training to unlock it. 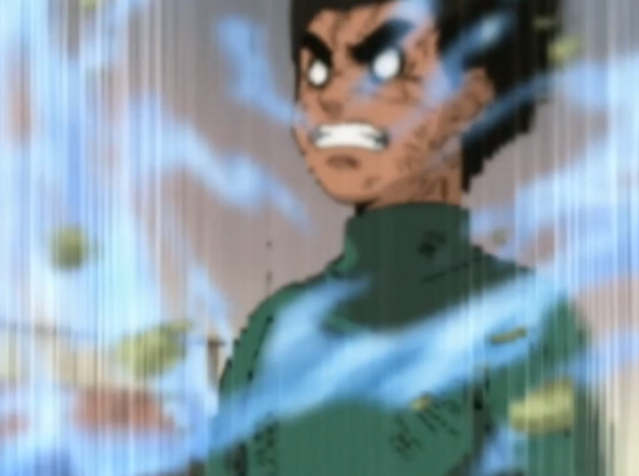 After much thought: no, there's no show that has quite ever done the Rock Lee weight drop. And largely that’s because it wasn’t just a great fight (although that is also true). 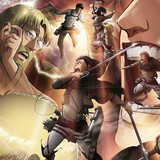 Rather, it started as a great fight where the experienced ninjas were as surprised as the audience at the power on display, but then became a catalyst for a new level of power scaling in the franchise and eventually led to both participants seriously impacting the show’s world for the rest of the franchise. Are there any examples that I missed that are direct comparisons to Lee’s big moment? Are there any aspects of Lee dropping his weights that make it unique that I missed? Let me know in the comments below!